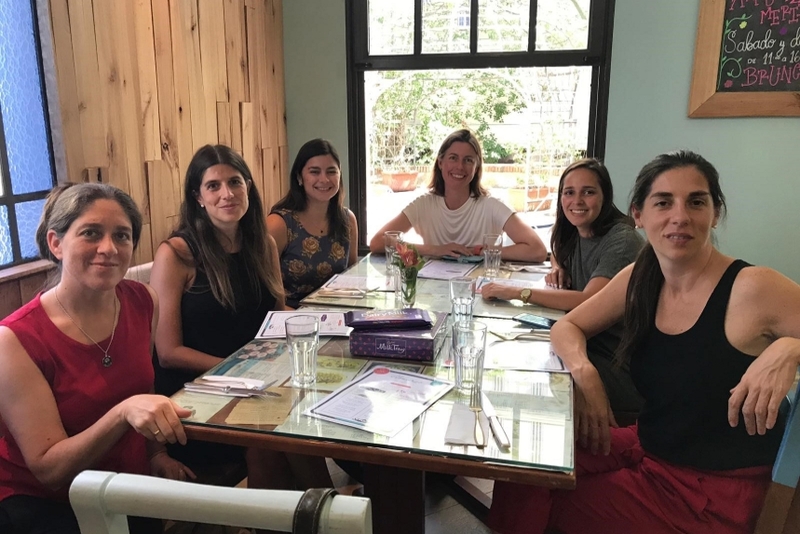 Notes from the field: successful partnership working in Uruguay, Matter of Focus: Evidence. Action. Change. As part of our impact study of the Global Kids Online research programme for the London School of Economics and Political Science and UNICEF Office of Research – Innocenti, I had the pleasure of travelling to Uruguay to interview key stakeholders to capture information on the impacts of the project over the last three years. Uruguay is a small progressive country with a population of 3 million and a history of taking radical policy decisions to reduce inequalities and improve public health. Uruguay was the first Latin American country to ban smoking in public places. And it successfully beat prosecution by Phillip Morris to uphold its strict laws on cigarette packaging. This action opened the door to the rest of the world to follow suit. Another pioneering policy was the decision taken more than 10 years ago to enable every child to access the internet, through the provision of public Wi-Fi in every community in Uruguay, as well as providing free devices so all children had the opportunity to access this Wi-Fi. More than 10 years on, every child in Uruguay has the opportunity to access educational and social resources online, as well as to create their own content. 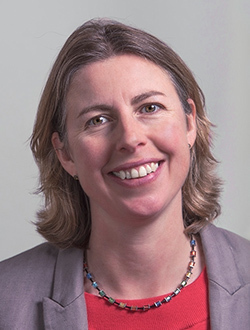 However, whilst there was lots of discussion in the country about the risks and benefits of this for children, until last year there had been little in the way of comprehensive evidence to understand how children behaved online and what they thought about the opportunities and risks. In 2017 Uruguay joined the Global Kids Online project and, drawing on its framework and resources, carried out the first research into kids’ experiences online. The purpose of my visit was to understand the impact of this research on the development of policy and practice in this area, and ultimately the lives of children and families. At the heart of Uruguay’s approach to the Global Kids Online research was a strong partnership between UNICEF and UNESCO; the two main government agencies, Plan Ceibal and Agesic; and local academics. An overarching finding from our research was how important that partnership was to ensuring evidence got into action. In talking to the partners about their work together I was frequently reminded of experiences in Scotland. Partners said their journey together was long and time consuming. They came to the collaboration with different priorities and drivers for being involved. 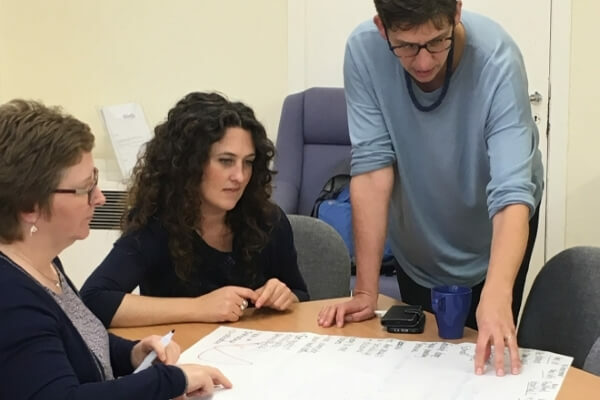 The team included people with a breadth of relevant expertise and there were robust discussions about methodological issues, the focus of the research and the best way to approach analysis, reporting and dissemination. What came through loud and clear in the research was how passionate everyone was about the project and committed to developing the best outputs and outcomes possible. Discussing this partnership with other stakeholders less closely involved, this commitment and willingness to disagree and discuss clearly paid off. Everyone valued the quality of the research and the clarity of the key messages. The team took an innovative approach to reporting in partnership. They spent several meetings agreeing the key messages from the research, that were driven most closely from the empirical data. Then each partner had space in the report to reflect on what these findings meant for them and to offer their own interpretations. In this way, the team was able to turn their differences into a key strength. They also followed this through into sharing the findings, developing a media plan that involved each member of the team speaking to their area of strength. What made this partnership possible? A key feature of the Uruguayan context that people referred to time and time again was that it is a small country – many of the partners knew each other already. They also knew that they would be likely to work together in some capacity or other in the future. Not only did they have a head start in relationship building, they also knew that they were creating lasting relationships and it was worth getting them right. Secondly, the partners were united by a shared vision for the research. Everyone agreed that getting a robust understanding of children’s experiences online was vital to the successful implementation of this policy area. Working in partnership in this way enabled the team to deliver a quality piece of research that all the stakeholders we spoke to felt was robust and valuable. It also meant that the research findings were immediately put into action by the agencies with the most power to act. All the work that went into building the partnership to carry out the research has strengthened the evidence to action eco-system around these issues. Future research will be carried out in partnership. What can we take from this example? For me, working in the Scottish public service context, going to Uruguay was a bit like finding a long-lost sister – another progressive nation, with landmark policies to address inequalities. The trip reinforced lessons about the importance of getting partnerships right from the start and of embracing the diversity of perspectives that different partners bring to the process. Partnership working is hard, takes time, but done well can deliver great results.